When staying in one of the grandest cities in Europe, you may want awe-inspiring accommodation to match. Vienna is not short on places boasting luxurious charm, and there is something for everyone in this elegant city, no matter what your criteria may be. From the chic to the contemporary, here are 10 of the best boutique boards in Vienna. A comfortable and cosy hotel located in the heart of Vienna, just a stone’s throw away from the world-famous Vienna State Opera House and the Albertina is The Guesthouse Vienna. All the buzz and excitement of the city is right on your doorstep, however, the hotel embodies all the comforts of home, with espresso machines and mini fridges installed in every room and an all-day breakfast available at the hotel’s on-site brasserie and bakery. It’s perfect for those who want to hit up all the key tourist spots on a weekend away. 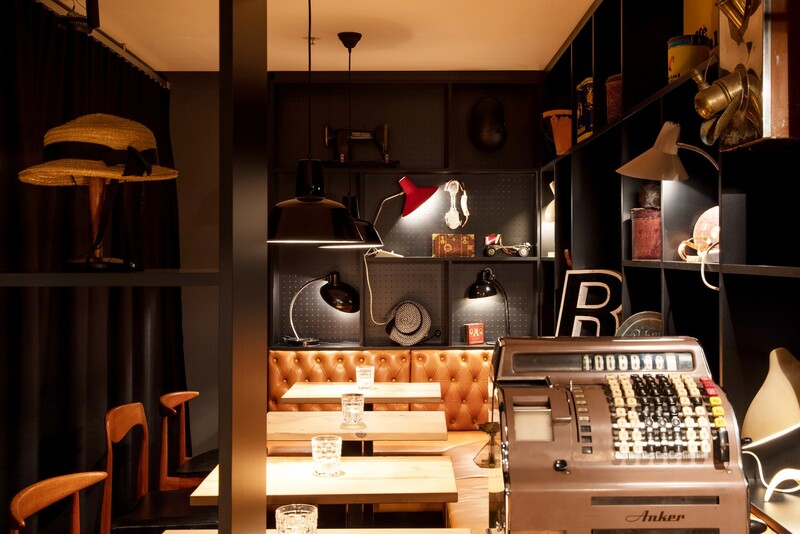 The cosy cafe at the Ruby Marie in Vienna | © Ruby Marie. This modern up-market hotel prides itself on being having a more relaxed philosophy when it comes to boutique stays by adopting an informal approach to luxury. The Ruby Marie Hotel & Bar is a great choice for young travellers, who will take advantage of the rooftop bar, movie lounge and yoga room. Free hot drinks are waiting in the charming library for you after a hard day spent exploring the city. This is an eco-friendly option for environmentally conscientious travellers. This boutique hotel has won awards for its sustainability, with environmental awareness being at the pinnacle of their priorities. Boutiquehotel Stadthalle Wien incorporates solar panels to generate the hotel’s energy, water from a well to flush the toilets, and has the largest rooftop lavender garden in Vienna, making it one of the greenest hotels in Europe. Enjoy a guilt-free stay in one of their standard rooms, from 88€ a night. Great for those keen to experience the city in true-exquisite Viennese style, the Hotel Imperial is dripping with traditional Austrian lavishness. From the Classic Room to the Royal Suite, this place is the definition of class and definitely not one for those looking for a more laid-back stay in Austria’s capital. The location is ideally in the 1st district, right next to all the action. 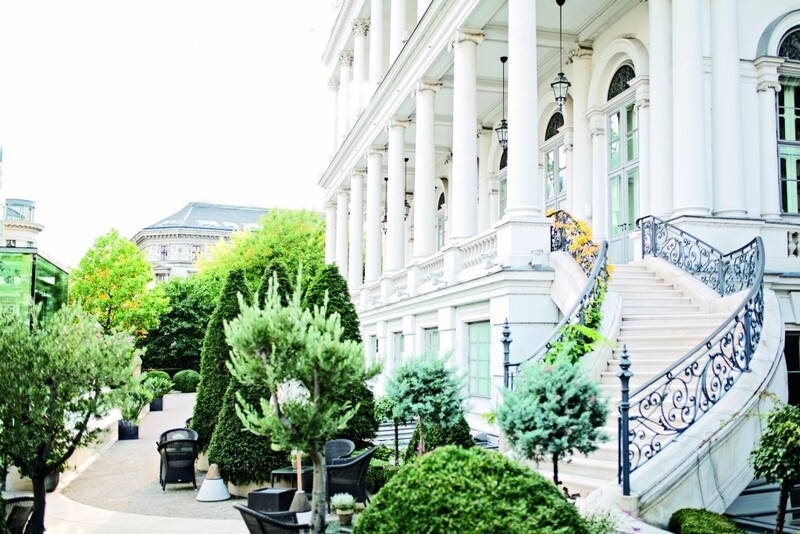 Palais Coburg Residenz is a picturesque palace of a hotel. With clean white walls and pillars at the facade, this is one of the most opulent hotels in town. Once inside, it may be difficult to persuade you back out again, as this establishment has everything you could hope for in a top hotel. Indulge at the spa with one of the many available packages, or dine in style at the two Michelin Star gourmet restaurant. A privately run hotel, Hotel Sacher Wien has family principles at its core, ensuring for a cosy and intimate stay. The Hotel Sacher has won a plethora of awards, including the Best Family Owned Company in Austria in 2016. 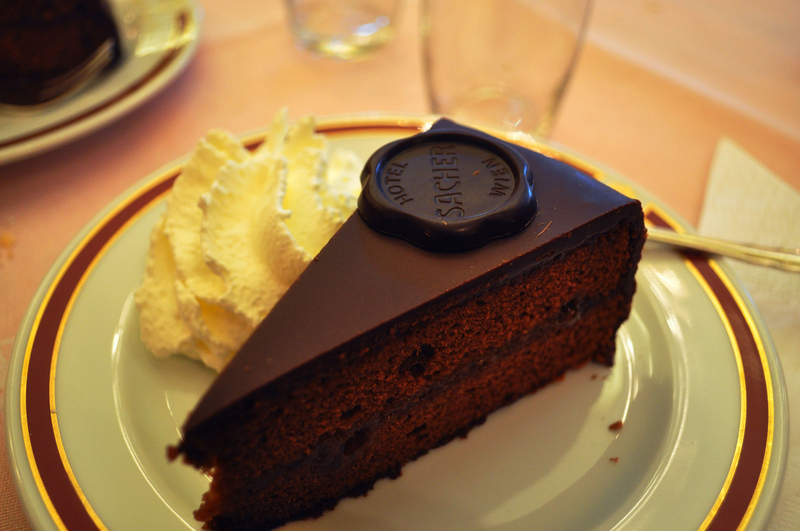 If that doesn’t convince you, perhaps the Sacher-torte – a rich chocolate cake with jam in the middle (pictured below) – available at the cafe will sway you. The original recipe of this cake is a “well-kept secret of the hotel”. Even your pet dog will be a fan of the Hotel Sacher Wien, as it contains animal-friendly amenities and a dog-walking service – they even offer inside secrets of recipes for gourmet dog food. Hotel Rathaus is not your average luxury boutique hotel. Described as a “concept hotel”, the theme of wine is strongly prevalent throughout – from the rooms themselves, all named after Austrian winemakers, to the breakfast buffet that contains an unusual offer of “wine-cheese”. Wine lovers should consider a stay, and partake in one of the tasting events offered in the hotel’s lounge. Here you can discuss the philosophy of wine to your heart’s content with the director and his team. This hotel offers the best service for the best price. Sofitel Vienna Stephansdom is a good option for those who want to have an extravagant experience without breaking the bank. The famous French architect who designed the building, Jean Nouvel, took inspiration from the iconic Gothic magnificence of the nearby Stephansdom, installing multicoloured video murals on the inside. Described as “an oasis of calm in the heart of the city”, this hotel is as relaxing as it is elegant. With stylish golden neon-lettering at the entrance to tempt you through the doors, the Hotel Kärntnerhof is draped in style from the word go. Viennese Art Nouveau style decorates the 41 rooms inside and the three suite’s names are dedicated to historical happenings. The Hotel Kärntnerhof can be found down a quiet side-street, away from the hustle and bustle. Simple yet classy, the Alma Boutique Hotel is a small four-star establishment with Art-Deco glamour. The building dates back to 1913 and was converted into a hotel in 1978. The location is perfect – many of Vienna’s main attractions are under a 10-minute walk away and the underground station is right next door. A Classic Single Room starts from 91€ a night, providing you with a television, minibar and an extensive breakfast buffet.